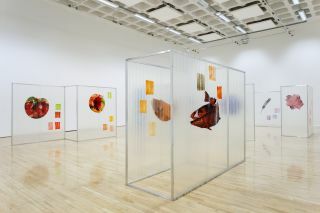 Selina Thompson’s work ‘Race Cards’ has evolved through various performance iterations to arrive in Birmingham as an installation in Thompson’s absence. 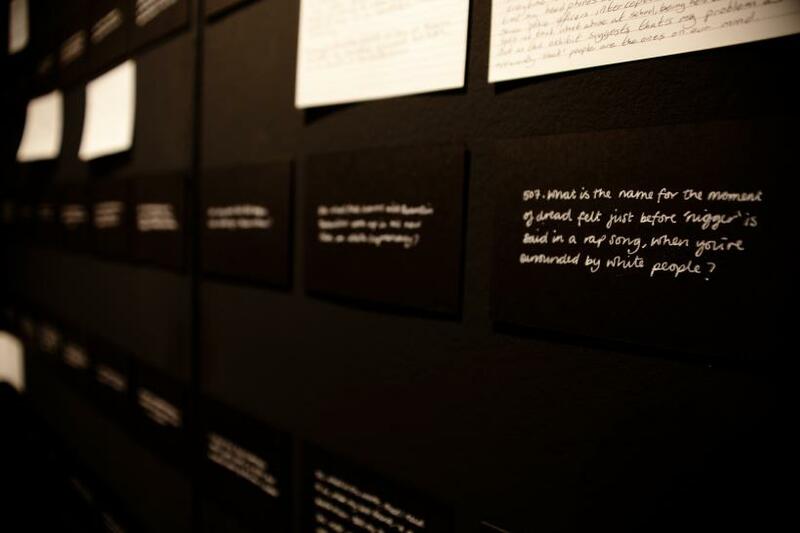 Consisting of 1000 questions on race developed by the artist over a duration of 21 hours at the Edinburgh Festival as part of the Buzzcut programme for Forest Fringe, visitors enter the space one by one deciding how long to stay for before writing and leaving a response to one of the questions. 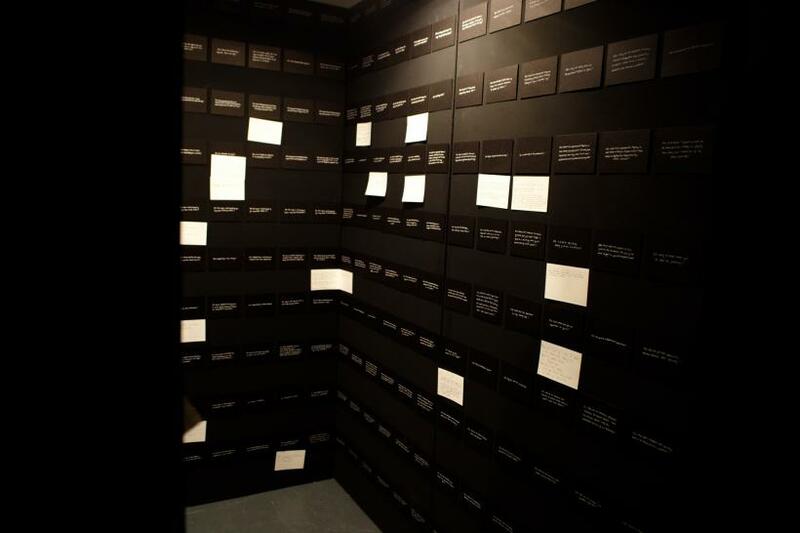 ‘Race Cards’ was commissioned by Camden People’s Theatre, subsequently developed with Buzzcut and Forest Fringe before now being installed at Birmingham Open Media (BOM) as part of Fierce Festival 2015. Arriving from Leeds I was expecting to dive straight into the work. However, upon arrival at BOM I was told I’d have to wait and in fact there was queue with another three people in front of me. Initially miffed, I decided to busy myself by looking at the other artworks on display at BOM, including an amazingly mesmeric video ‘Orange Bikini’ by Emily Mulenga, a name to watch. Thirty minutes and a coffee later I was still waiting. It struck me that each of the previous visitors had spent about fifteen minutes in the installation: in Art Years that’s an eon! 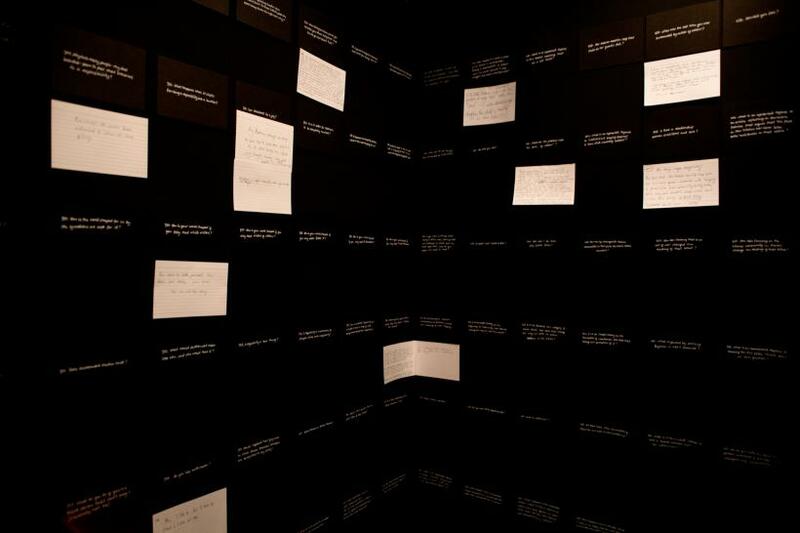 The walls of the installation are covered floor to ceiling in black cards listing the ‘Race Cards’ questions. Questions include: Do we see whiteness? What are your thoughts on the term ‘reverse racism’? And do artists inhabit safe spaces? Thompson has left instructions on an A4 sheet and there is an invitation to generate a question that you can take away after you leave. Aware of my solitude, I began to read the questions and as directed starting from number one onwards. What very quickly became apparent is the warmth and skill of Thompson’s writing. Because what the audience is confronted with is not a series of dry questions or a questionnaire. Instead ‘Race Cards’ is a stream of consciousness that emerges from an epic durational work. 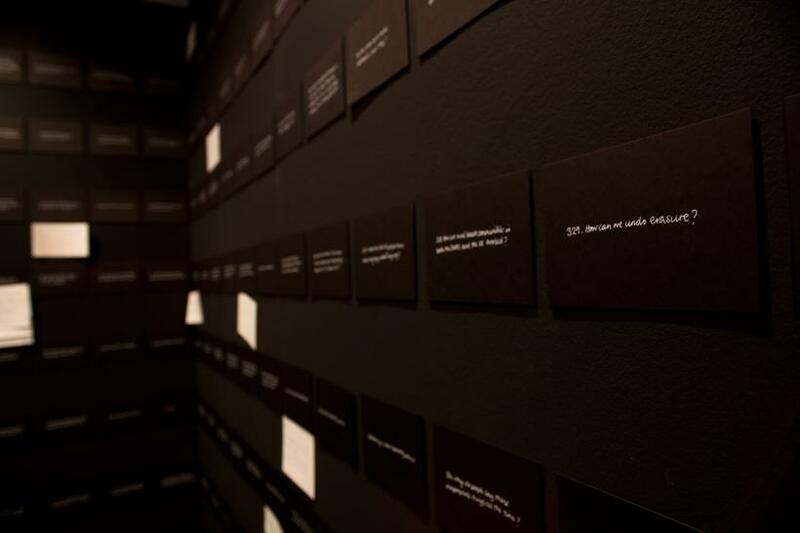 The questions are a mapping of Thompson’s thoughts and as such contain humour, tragedy, irony and pathos. I was particularly struck by how brave, direct and honest the text is. 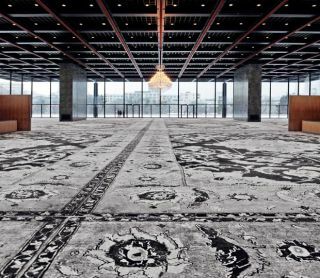 There is a level of self-reflection inherent in the text, which means as a reader you have nowhere to hide; you’re in the full glare of the work’s startling rhetoric. If I’m honest, I was so engrossed in reading I found it hard to stick to the task of picking one question to respond to. I chickened out and left it to fate, choosing a question to answer at random. I didn’t feel the strength of the work was in eliciting written responses. My experience was enriched by the opportunity to read. 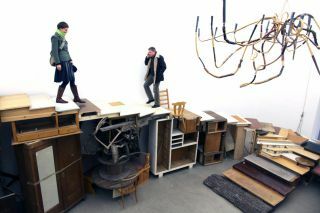 Despite Thompson’s physical absence, she is very present in this work and a result it’s utterly captivating. ‘Race Cards’ harnesses the power of reading and how in the intimate moment of consuming text the reader is freed and yet challenged. The work isn’t about answering questions; it’s about igniting an internal discussion in each of us that allows for the possibility of self-awareness, analysis and reflection. That led me to think on the way home that ‘Race Cards’ next iteration surely has to be as a publication.